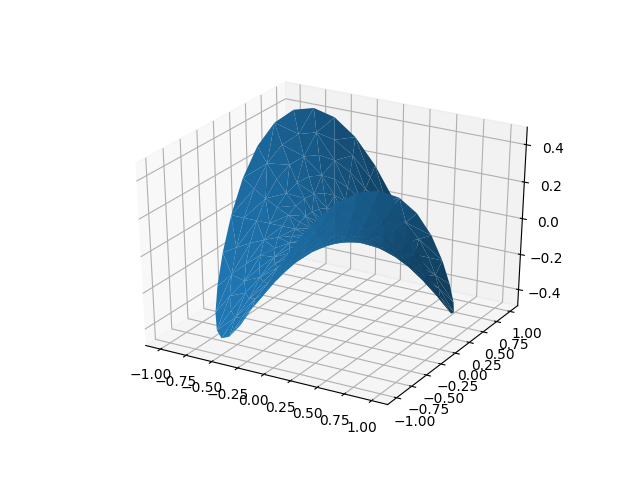 Plot a 3D surface with a triangular mesh. # Make radii and angles spaces (radius r=0 omitted to eliminate duplication). # Repeat all angles for each radius. # Convert polar (radii, angles) coords to cartesian (x, y) coords. # points in the (x, y) plane. # Compute z to make the pringle surface.